Your dog loves having space outside to roam and play. However, if you want your dogs to be safe, you may need a dog fence enclosure. 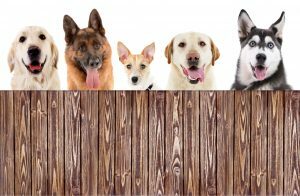 Whether it’s a chain link fence that keeps your pets safe in your yard or maybe a privacy-enhancing wooded fence that also lessens them from wanting to bark at every passer-by, dog fences improve safe pet playtime. 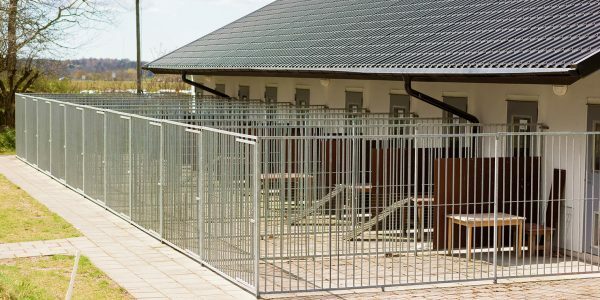 All Around Fence knows the ins and outs of dog fence installation as well as repair — we’re a one-stop resource for your dog fence enclosure needs. At All Around Fence we use only the best residential / commercial grade dog & pet fencing products. Ask us about materials, styles and even color choices for your dog fence enclosure project needs. We can also install custom gates, when necessary. 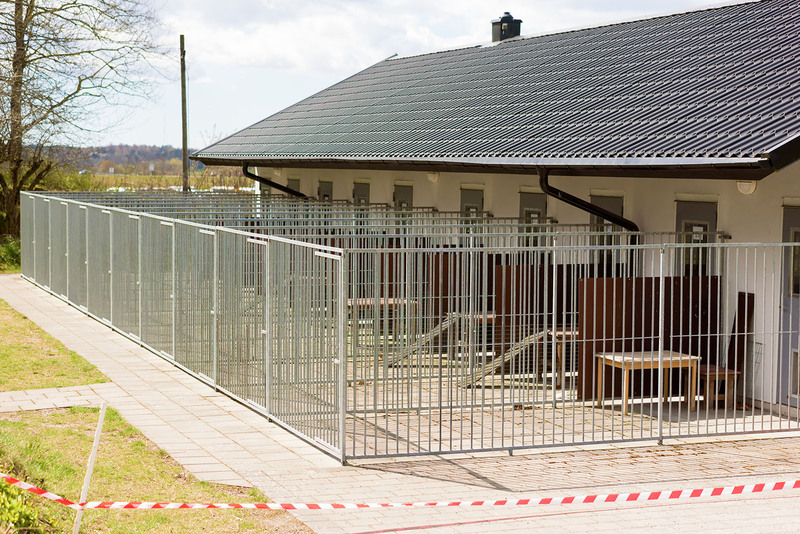 Outdoor dog kennels outside a building.